Assemble tools and supplies. 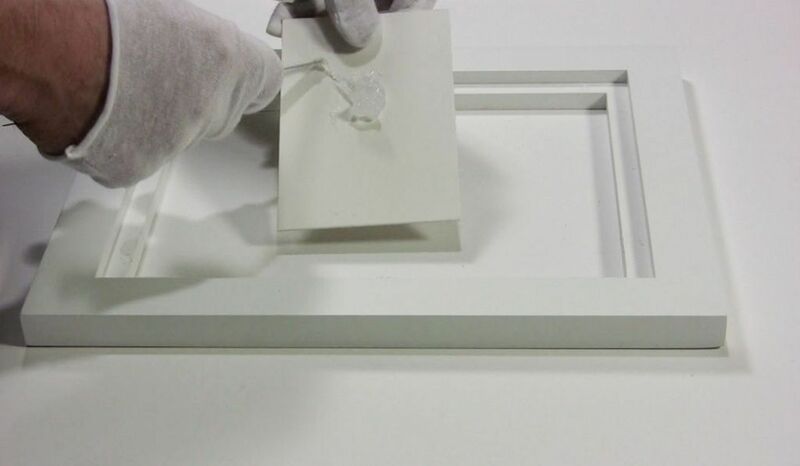 For attaching a panel to a frame you will need the panel, the frame, clear silicone glue, spatula, weights and a board, and spacers to keep the panel centered. 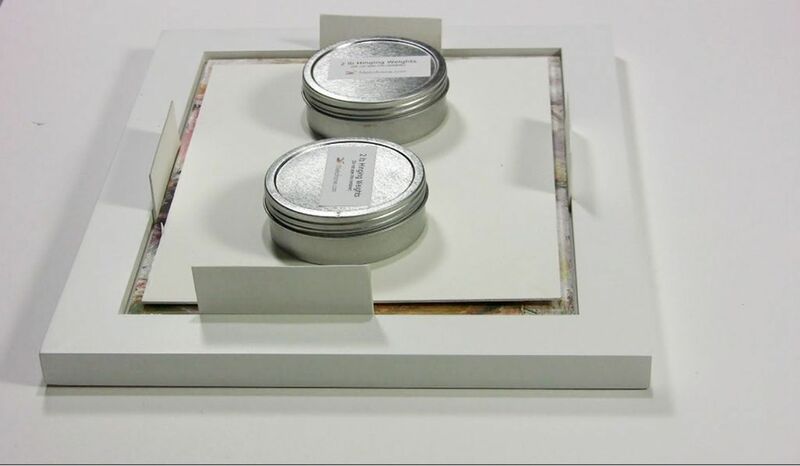 We recommend that you put the glue on a scrap of board rather than applying it directly from the tube. This will allow you to control the amount of glue you apply. 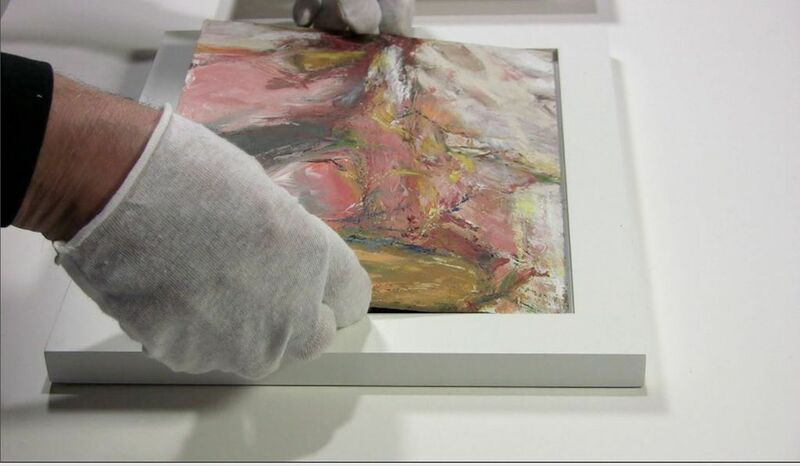 Apply a small amount of glue on the inside panel of the frame. 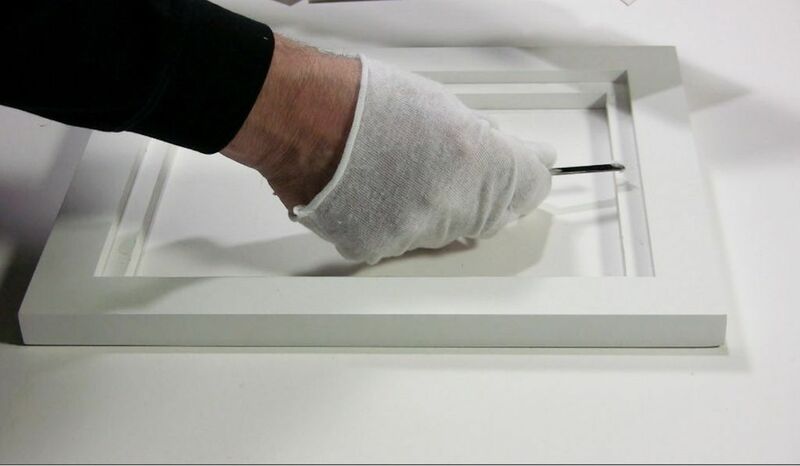 Make sure it is only applied to the inside edge of the panel and not the “float” area. 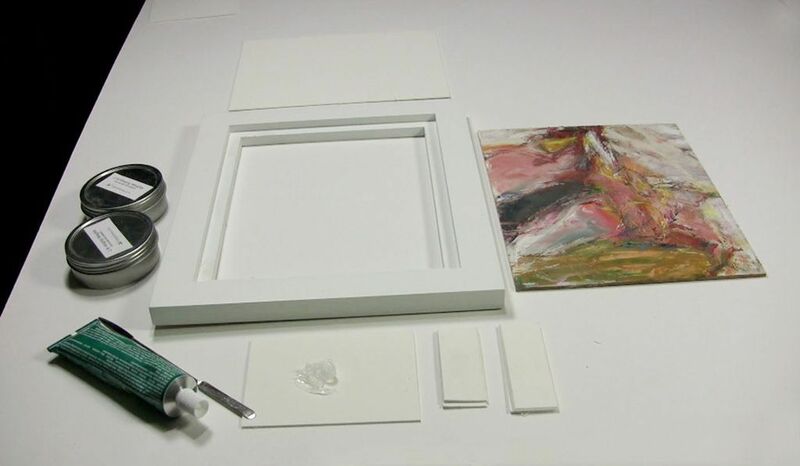 We recommend that you only apply the glue in small dabs rather than glueing the entire area of the frame. 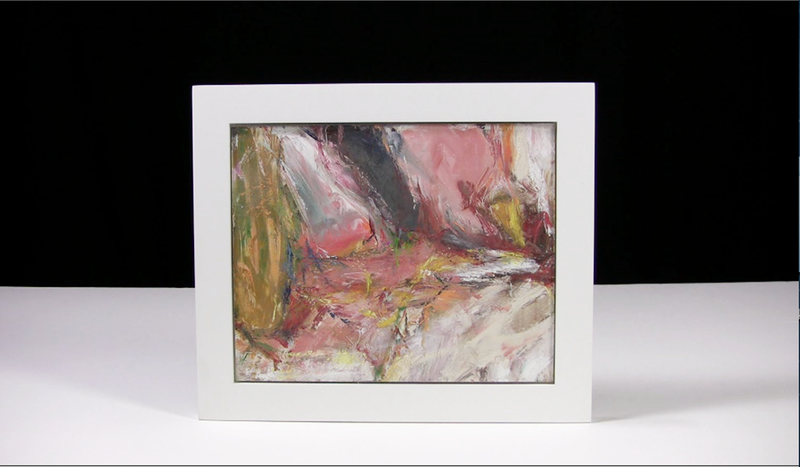 On the long side of this frame we applied the glue in three spots and on the short side we applied two spots of glue. If at a later date it becomes necessary to remove the panel, this will make it much easier to do. Now place the panel in the frame. 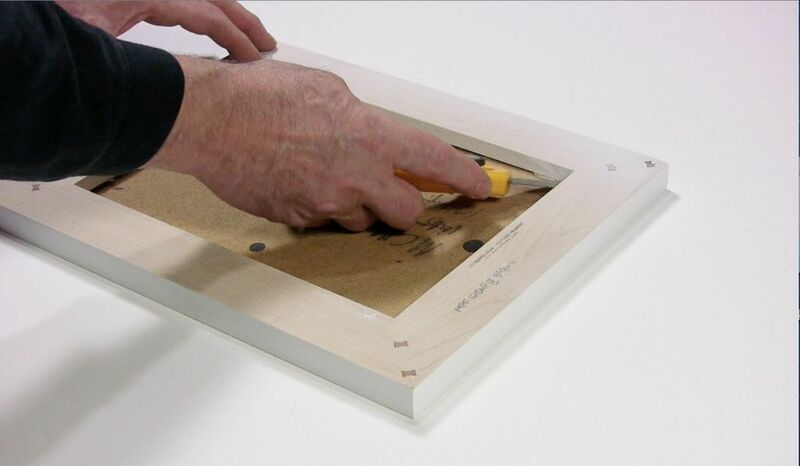 We recommend placing small scraps of mat or foamboard to center the panel in the frame. 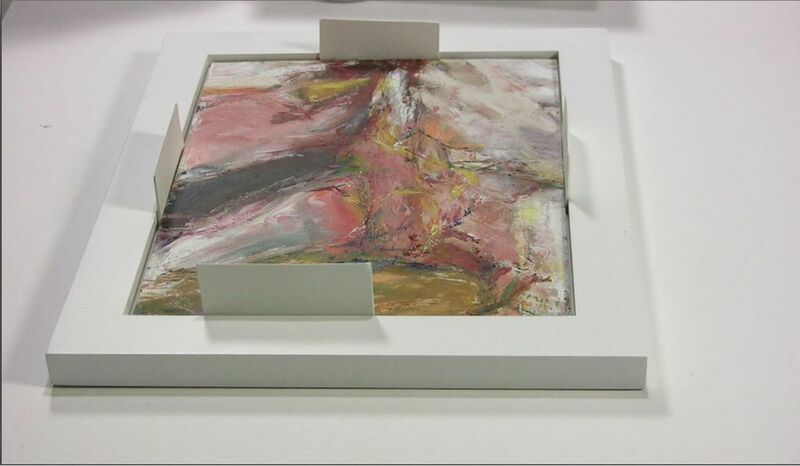 Now place a matboard scrap on top of the artwork and weight it down for 24 hours to ensure the bond of the panel to the frame. 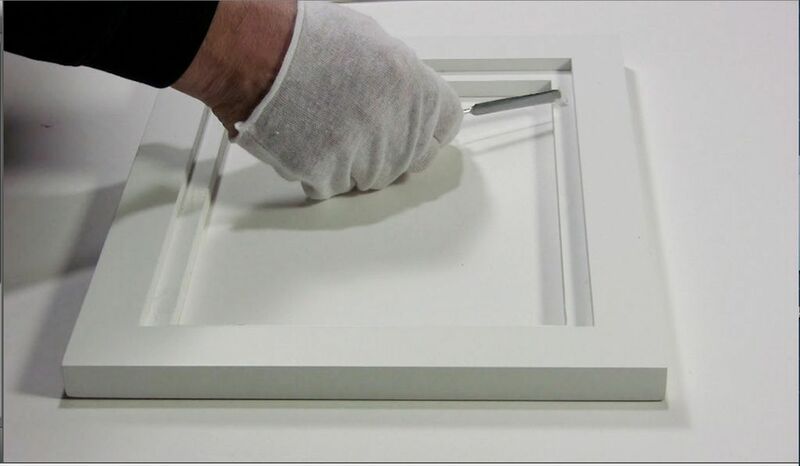 If you need to remove the panel, take a mat knife and slip it behind the frame and the panel where you have placed the glue.